Even though it’s still August and the growing season stretches out in front of us until October (and, truly, all winter for certain things), I can see the signs that production is waning – yellowing cucumber leaves, powdery mildew on the zucchini plants, sunflowers that are toppling over. I have more food in jars on my shelves than I do in my garden. The 100+ degree days are (hopefully) behind us, and I’m starting to look forward to cozy fall and winter nights with a soup on the stove and a pie in the oven. Crops that aren’t even planted in June in Seattle are already bolting in Mendocino. Accept the new reality of your fast-bolting world. There is no such thing as too many tomatoes (even if your boyfriend prohibits you from planting more). There is such a thing as too many cucumbers. Separate spicy and sweet peppers in the garden. Also… one spicy pepper plant is enough. Having lived in a climate where peppers refuse to grow, this was a new crop to me. Grow basil and zucchini in the ground, not in pots. It’s okay if the occasional food goes to waste – the cilantro will bolt, a few cucumbers will get so big they become bitter, and a lot of fruit will end up on the ground. DON’T PANIC. Life goes on. Sometimes you have to stand over a hot stove in an already-sweltering kitchen if you want to preserve your goods. Food doesn’t wait for cooler temperatures. 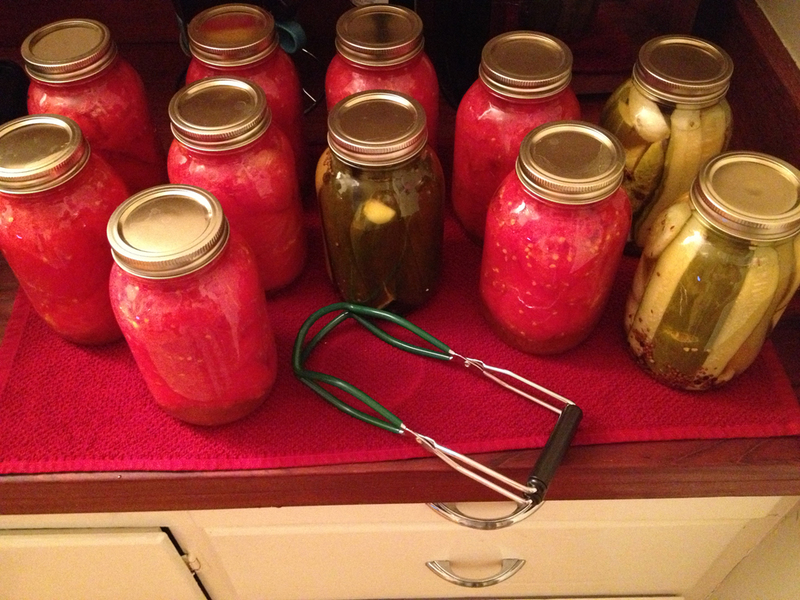 Your refrigerator will hold more jars of pickles than you think. I love to document things. I like to take pictures and make lists, write notes and save recipes with any modifications I made. In Seattle, Katie and I would draw a garden map and keep a journal with when things sprouted, flowered, and produced food; what worked and what didn’t; and all the new words and skills Jacob was learning along the way. I love that those journals exist. This year, I did none of that. I didn’t draw a garden map. I didn’t take notes on what worked and what didn’t. All I have to guide me next year will be my notoriously faulty memory – we’ll see how I do. 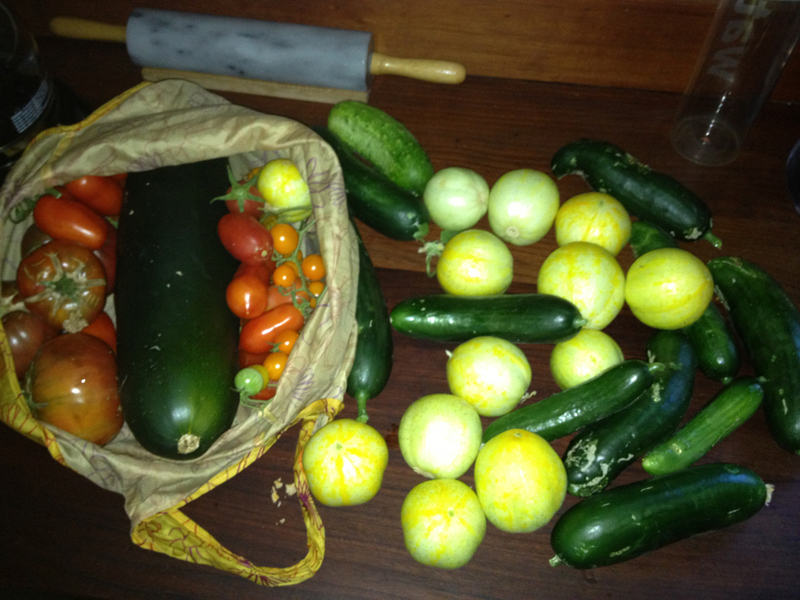 What I got for my lack of documentation were a lot of agenda-free evenings in the yard, digging and deadheading and weeding and planting and harvesting whatever was ready. I can’t tell you how many successions of radishes we planted because I didn’t write it down, but I can tell you we’ve had a constant supply of them and they keep forever in the fridge. Releasing myself from the requirement to capture what I was doing and simply DOING it was quite freeing.